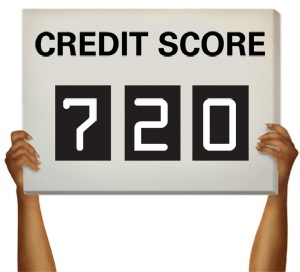 Nowadays, a person’s credit report affects a lot more than his or her ability to get a loan. From leasing an apartment to buying a home and getting a job, having a good credit record can go a long way towards making these plans happen. In a worst case scenario, poor credit can prevent a person from getting utility service unless an unusually high deposit amount is paid up front. When considering how to build your credit, a few simple steps are all it takes to get the ball rolling. Secured credit cards offer a safe and reliable method for building credit for someone just starting out and also for someone in the process of rebuilding their credit. Basically, an initial deposit made to the lender becomes your credit limit while any purchases made are drawn from a prefunded account. After a year of on-time payments, your credit history should allow you to switch to an unsecured card. Retailer credit cards, such as those offered through department stores and gas stations also provide another easy way to build a good credit report. With both methods, it’s important to ensure that the card issuer makes regular reports to the major credit reporting agencies. When all else fails, getting someone to cosign on a loan is another way to build credit, though in this instance both yours and the cosigner’s credit record is at stake. Once you get a credit card or account, maintaining a good standing is the most important step when it comes to how to build your credit. This means making payments on time and preferably early as one missed payment can damage your credit record for as long as seven years. Rather than making the minimum payment amount, it’s best to pay off balances each month. This will cut down on interest charges and prevent you from biting off more than you can chew. When it comes to credit limits per card, it’s best to keep spending below the 30 percent mark since lenders do look at credit-to-debt ratios when considering a loan application. Any steps you can take to make a credit report look better can help build your credit, even if it’s not credit-related. Having a checking and savings account is a sign of stability, which is something lenders look for when considering credit and loan applications. Of course this also means not bouncing checks as this will damage your credit record and send up a red flag with potential creditors. After getting credit, monitoring your credit record is the second most important step when it comes to how to build your credit. By law, credit reporting agencies must provide free reports annually to anyone who requests their report. Checking your report for errors and getting them fixed can help ensure your credit remains in good standing.